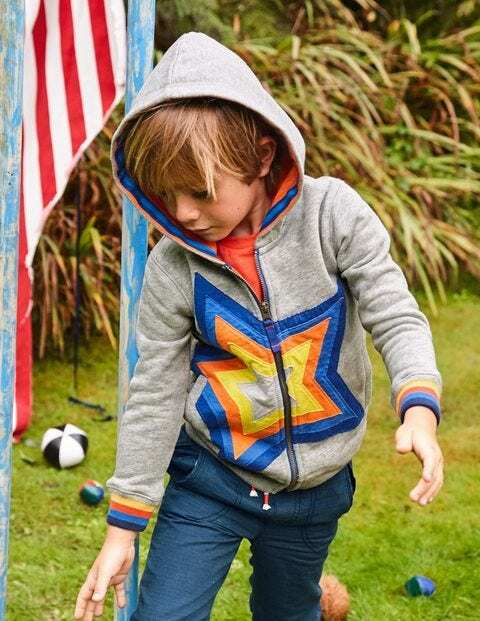 Twinkle like a little star in this cosy hoodie. Shine all night long in navy with stars down the long sleeves, or go for grey with an oversized multi-coloured star on the front. Ribbed hems and a contrast cuff keep chills at bay.